Marywood is a small neighborhood of 21 modern luxury homes, situated along a single residential street named Marywood Chase. Marywood Chase is located off of Memorial Drive between Crossroads Drive and Barkers Landing Road. Marywood is located along the western edge of the Memorial neighborhoods, close to the Houston Energy Corridor. Residents of Marywood enjoy easy access to the Katy Freeway, with Memorial Drive connecting to BP Way, which connects to the Katy Freeway frontage. The nearest Starbucks, along with casual dining, financial services and other conveniences, is a short trip west on Memorial Drive, connecting to Highway 6. Take Highway 6 south, and you’re only a few minutes away from West Oaks Mall. 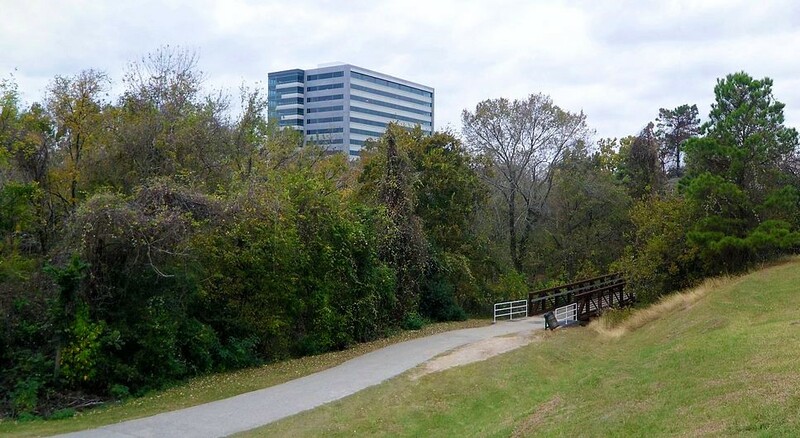 If you’re looking for outdoor recreation, Marywood puts you within easy reach of Terry Hershey Park, connecting you to 11 miles of biking and hiking trails, and 500 acres of parkland. Public education for Marywood is provided by the Katy Independent School District. Elementary students attend Maurice L. Wolfe Elementary School. Middle school students attend Memorial Parkway Junior High. High school students attend James E. Taylor High School. U.S. News and World Report awarded a Silver ranking to Taylor High School for its quality academic programs and strong student test scores. As Marywood Chase is residential-only street, ending in a cul-de-sac with no through traffic, the executive homes placed along it have the private feel of a gated community. The homes were built between 1995 and 2005, and boast generous floor plans with hardwood floors, granite counters and soaring ceilings. Homes feature an array of luxury appointments, including pools, spas, fireplaces, covered patios and more. Marywood homes have a median square footage of 5,002, and a median lot size of 12,880. Recent sales prices have ranged from over $700,000 to $1.3 million.